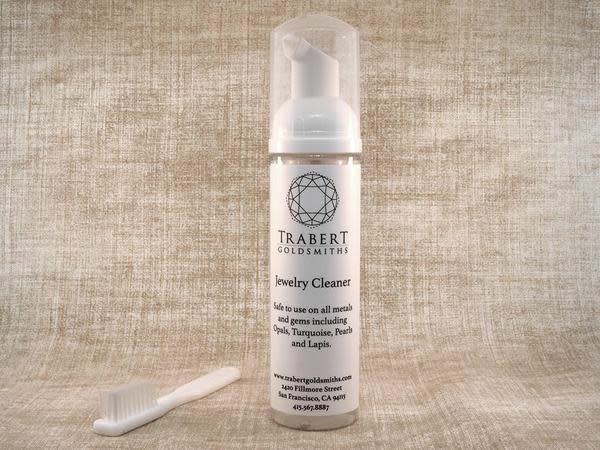 Trabert Goldsmiths jewelry cleaner is 100% bio-degradable foam. It is safe to use on all metals and gems including Opals, Turquoise, Pearls and Lapis. This comes with a toothbrush.